Historian and reenactor Kevin Wood portrays Mr. Lincoln from 1854-1865. 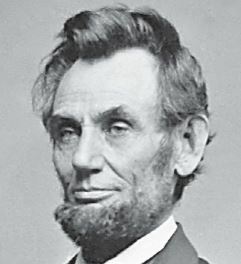 Learn more about the events which led Mr. Lincoln back into politics in the mid-1850s, the country's escalating tensions, his election as President and, of course, the Civil War. You’ll be inspired to hope as Mr. Lincoln did for "a new birth of freedom" for our country when you hear directly from some of his best-knownspeeches and writings. Register now. For other Adult events in February, visit Events Calendar.